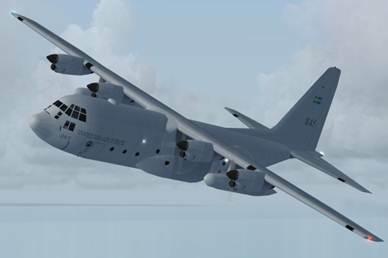 This freeware AI package, produced by Edith Black for Military AI Works contains everything needed to activate Satenas Air Base (ESIB) and its C-130 Hercules transport unit in Flight Simulator 2004. F 7 Såtenäs, Skaraborgs Flygflottilj, Skaraborg Air Force Wing, or simply "F 7", is a Swedish Air Force wing with the main base located near Lidköping in south-central Sweden. Såtenäs is more famously known as the main JAS-39 Gripen training base but also hosts 8 Swedish Air Force C-130 Hercules on base. This package contains custom scenery for Såtenäs Air Base that represents a "best guess" for the base as information and pictures are very difficult to come by due to the secrecy of the Swedish military system. This package contains models, flight plans, scenery, repaints, call signs, effects and all AFD files needed to activate this base in FS2004. This is also the first in a series of packages that will cover aircraft of the Swedish Air Force. NOTE: Failure to remove these duplicate files may result in problems with AI aircraft parking and operation. It is recommended you move these to a temporary folder instead of deleting them; however, you should not need them again as the AFDs included in this package are thoroughly researched and highly detailed. If you are using add-on scenery for one of the above airfields, it is recommended you do NOT remove the AFD for the add-on scenery, but instead remove the MAIW AFCAD file (e.g. MAIW_XXXX_DEFAULT.bgl) after installation. 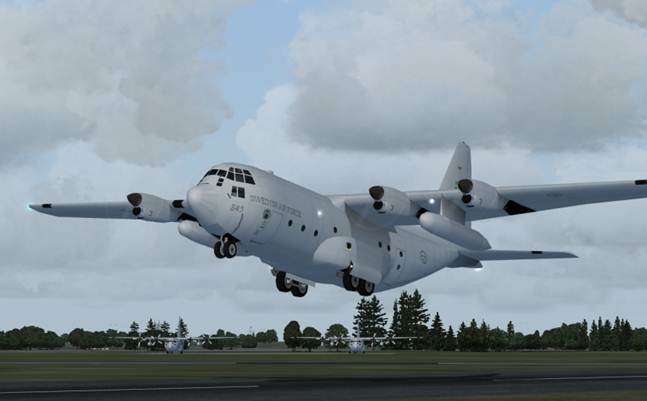 Included in this package is the excellent freeware scenery for F 7 Såtenäs Air Base. This scenery will be automatically placed into the correct directory for installation when you install this package. 1) The folders “MAIW Swedish Air Bases“, "MAIW Scenery Library Objects” and “MAIW Land Class” have already been installed into the “Addon Scenery” folder of your FS directory. In order to activate this scenery you must start FS9, go to Settings and find the Scenery Library. 2) Click on “ADD AREA” and navigate to the “MAIW Swedish Air Bases“, “MAIW Scenery Library Objects” and “MAIW Land Class” folders which should be, by default after installation, located in “Flight Simulator 9\Addon Scenery”. ***Note it is important that you place the “MAIW Land Class” folder and “MAIW Scenery Library Objects” folder as far down your addon scenery list as possible by using the Move Down button. Ideally they should be lower than any other scenery you may have added and just above the default FS9 scenery libraries. The “MAIW Land Class” folder should be below the “MAIW Scenery Library Objects” folder. This will assure that you do not have any missing scenery or land class.